The Servicemembers Civil Relief Act is a law that is designed to protect active duty servicemembers from civil and financial difficulties while they are serving abroad. Among other stipulations, it means that companies and individuals must obtain a court order before repossessing a vehicle belonging to a servicemember with active duty status. If a lender or dealership wants to repossess a vehicle that belongs to a man or woman on active duty, it must first go through the process of obtaining an affidavit as to military status. This is most easily accomplished via the Servicemembers Civil Relief Act Centralized Verification Service and takes a short time for processing. After that, the servicemember is entitled to a stay of proceedings for a minimum of 90 days. Return of payments – The court may opt to require that the creditor pay back some or all of the payments previously made on the vehicle before it can be repossessed. Further stay of proceedings – The court may also decide that the repossession proceedings should be further stayed. This course of action is generally prescribed when a servicemember’s duty prevents him or her from making the payments or appearing in court. Equity payment – Finally, the court may order an equity payment. This means that the creditor is required to compensate the servicemember for the difference between the value of the car and the balance of the debt before repossessing the car. A Connecticut woman who wished for her last name to be withheld wrote to Credit.com about her experiences with a repossession company that failed to comply with the SCRA. Her brother was posted in Afghanistan, meaning that he should have been protected under the law. She described two men with badges on chains who presented themselves as law enforcement. The two failed to identify themselves or the repossession company that they worked for. They had no paperwork and a nondescript truck, and they declined to give any relevant information – even a phone number – to Carolyn. Even after contacting her brother, who subsequently went through the Judge Advocate General’s office, the repossession firm returned with the truck late at night and demanded that Carolyn’s mother take financial responsibility for the towing of the car. 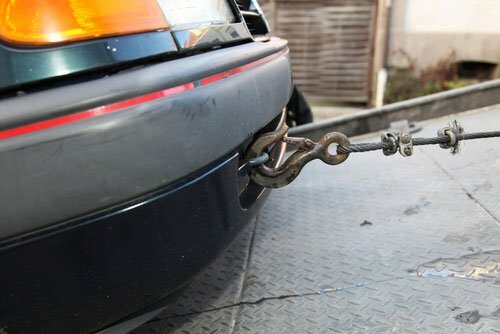 She refused, because the company had broken federal law by repossessing the car, and had to contact the police before the man would unhook the car. This incident serves to illustrate how important SCRA rights are for servicemembers and their dependants. The repossession workers may have failed to identify themselves because they knew about the financial liability that comes along with non-compliance in such cases. Companies that work with servicemembers need to go through the entire process – including obtaining an affidavit as to military service – in order to adhere to this important law.